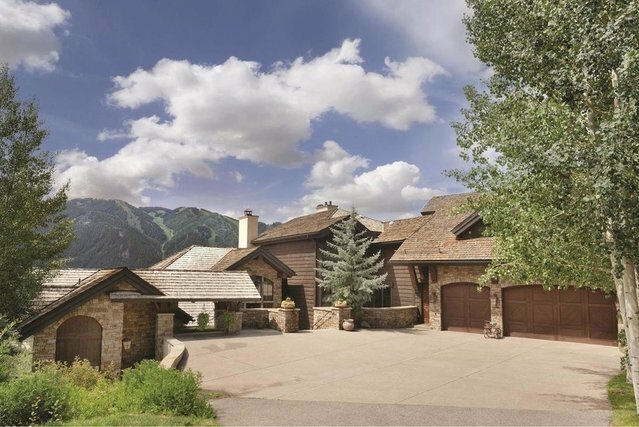 Open the door and enjoy drop dead views of Independence Pass Aspen Mountain and Snowmass from this premier Red Mountain location. No need to look any further DONE! Listen to the sounds of Hunter Creek from this end of road location in Red Mountain Ranch. This is a corner property with nothing to the east but the Hunter Creek below and the trailhead across the street. The home is almost entirely above grade offering five oversized bedrooms with en suite baths media/game room gym and three car garage. Fully air conditioned. See Virtual Tour under Photos tab.